The Polish defense minister called the recent flyover of a US warship by a Russian jet an "aggressive actions," adding that Russia was ready to "escalate provocations." MOSCOW (Sputnik) — The Russian jet flyover of a US warship in the Baltic Sea encapsulates Russia's "aggressive actions," which prove Moscow's readiness to "escalate provocations," Polish Defense Minister Antoni Macierewicz said. "… we are dealing with very aggressive actions, there is no doubt. I expected such actions from the Russian side…. This time it comes to stabilizing the situation in the region by increasing the security of the eastern flank of the alliance [NATO]. Russia wants to force the adoption of its point of view. It wants to impose its diktat… It wants to show that it is the host of the Baltic Sea," Macierewicz said in interview with the Rzechpospolita newspaper, published on Monday. 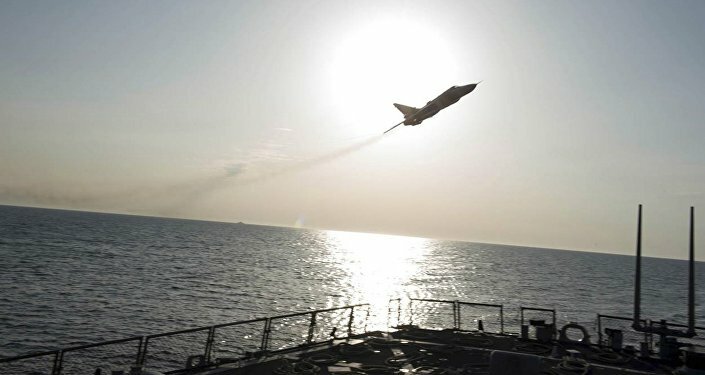 Last week, two Russian Su-24 Fencer tactical bombers flew close to the US missile destroyer Donald Cook. The United States expressed concern over the developments through Washington’s defense attache in Moscow. The US European Command (EUCOM) said the jets flew in a manner that resembled an attack and ignored safety advisories. According to the Russian Defense Ministry, the bombers swerved away from the US warship once it was identified.